We'll keep these show notes brief. Its frickin’ huge. Aaron and Jeffrey discuss Trump, the bomb, and the President’s War Powers. C-SPAN video of the entire Senate Foreign Relations Committee Hearing on Nuclear Weapons Authority. 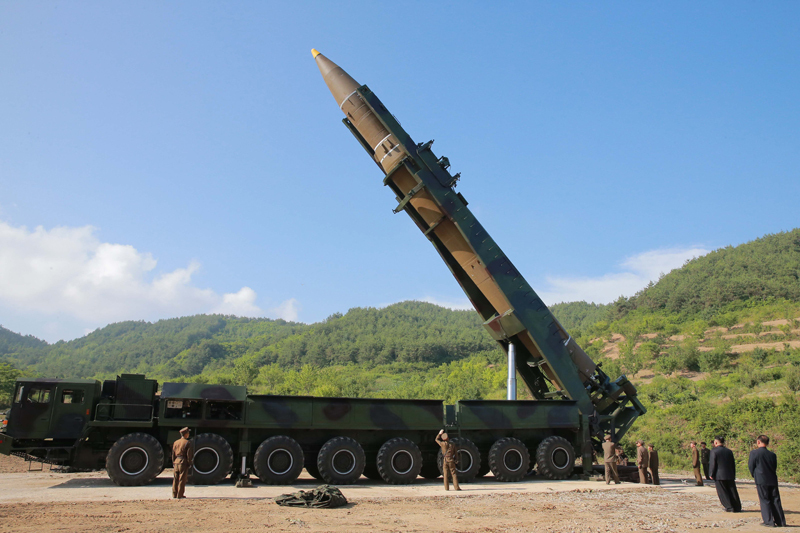 The US and South Korea agreed to revise the missile guidelines that have limited South Korea’s missile programs since the 1970s. 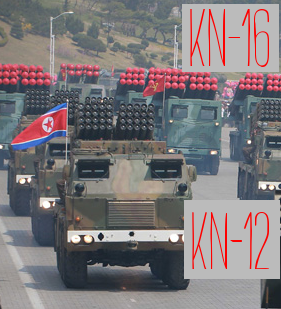 Aaron and Jeffrey discuss the origin of those limits, their evolution, and the impact of missile proliferation on the Korean Peninsula. Arms Control Wonk article about South Korea's Anheung Proving Grounds, where the missile tests occur. 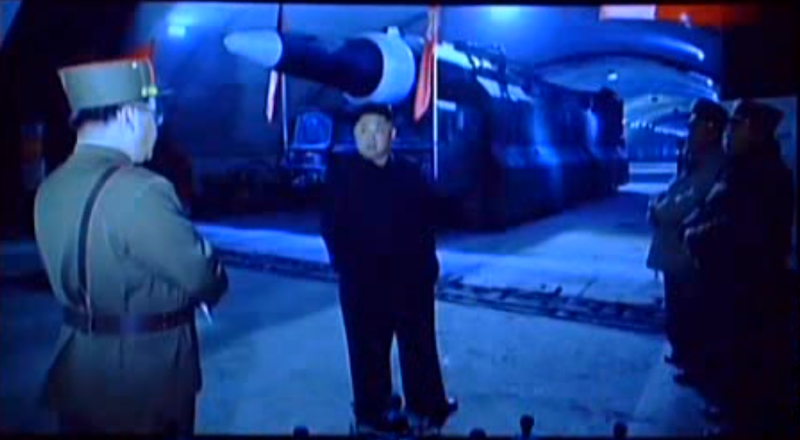 Our last podcast on the Hyunmoo-2C, South Korea's latest publicly displayed missile. Major General Mohammad Ali Jafari, commander of Iran's Revolutionary Guard Corps, recently stated that Iran has no need to extend the range of its missiles beyond 2,000 km. With debates about Iran's missile program affecting the debate about the Iran nuclear deal, Aaron and Jeffrey take a survey of regional missile proliferation from Egypt to Iran. Special bonus, Jeffrey tries not to giggle uncontrollably every time Aaron mentions the Hague Code of Conduct, aka the H-COC. IRGC says that Iran's missiles are capped at 2000km by the Supreme Leader. Shea Cotton's Iranian Missile Launch Database at NTI. Douglass Alchemy kindly provided Jeffrey, Aaron, and Scott with a wide variety of quality cocktail bitters. ACW Podcast listeners can use the promo code ACW to get 20% off any orders. Perfect for keeping you warm while missile-watching this winter. 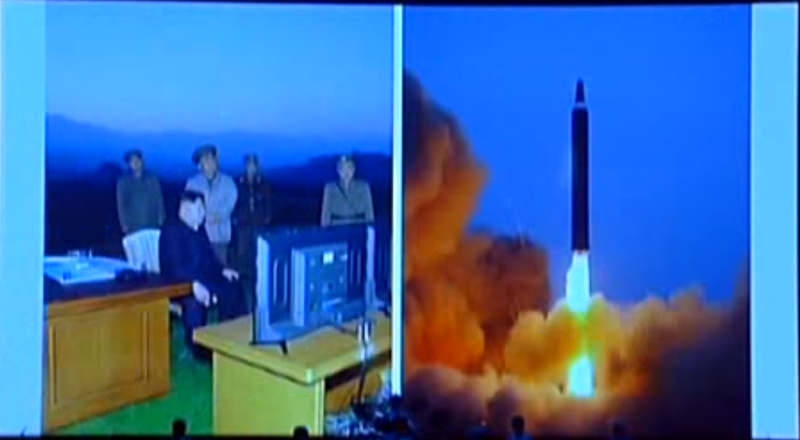 A Canadian reviews the month's North Korea news with a special guest. For October, Andrea talks to Adam Cathcart -- a lecturer at Leeds University and editor of the website Sino-NK. They dig into the events of the 19th Party Congress in China, talk about the dodgy stuff the Egyptians have been buying from Pyongyang, and try to figure out what's in the water (or maple syrup) up North. 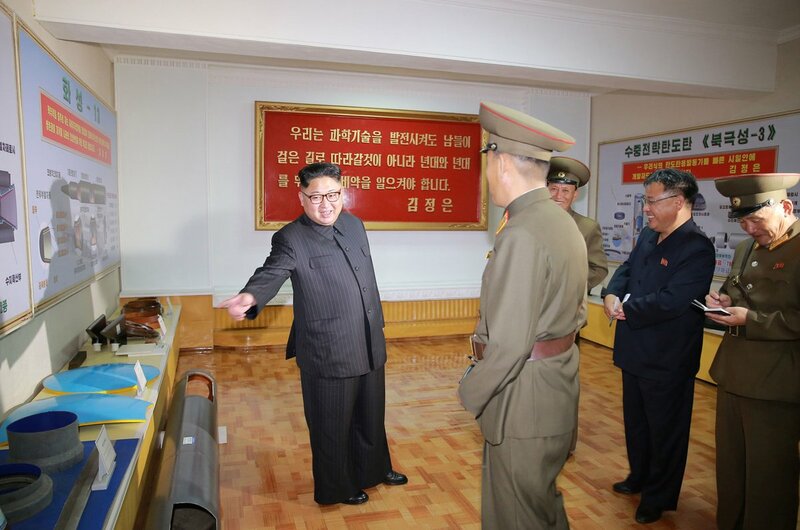 Adam Cathcart's China Brief article on Chinese PLA troop movements near the border with North Korea. Joby Warrick's Washington Post article on the Jie Shun. Andrea Berger and Matt Korda's Canadian International Council article on Canada's Ballistic Missile Defense Debate. Mostly Missile Defense's List of Claims about GMD Effectiveness. The Washington Post's Fact Check on President Trump's 97% claim. Joshua Pollack's article on the 97% claim on Defense One. The Simple Model (pulled from Wilkening's work), but without radar/sensor probabilities. This calculator is used to estimate the probability of a multilayer missile defense architecture intercepting X number of incoming warheads. Another Simple Model based calculator, but with a very basic estimation for sensors and tracking probabilities, also based on Wilkening's writings. Scott's under-construction experimental tool for sticking these probabilities on a map (with examples!). No, Hilary Clinton did not sell America's uranium to Russia. Aaron and Jeffrey attempt to patiently discuss the Uranium One purchase of Willow Creek uranium mine, the US firm that bribed Russian officials to win trucking contracts, and why this particular conspiracy theory is so prevalent in American political discourse. The Washington Post article fact checking the President's claim. The 2015 New York Times article that set the conspiracy theorizing in motion. A 2010 article from the Washington Times claiming that the sale of Uranium One would hurt the U.S. (it didn't). Donald Trump announced a new "strategy" -- loosely defined -- for confronting Iran. Trump also will refuse to certify that Iran is implementing its commitments under the Iran nuclear deal, aka the Joint Comprehensive Plan of Action (JCPOA), throwing the issue back to Congress and (possibly) starting a second nuclear crisis. Jeffrey and Aaron discuss why Congress created the requirement to certify the Iran nuclear deal, why Trump hates it, and what happens now. NPR full video and transcript of Trump's Iran speech. Main and addendum text of the Joint Comprehensive Plan of Action (JCPOA). Text of the Iran Nuclear Agreement Review Act of 2015 (INARA). Jeffrey and Aaron can also be seen talking about this issue on Vice News Tonight (Season 2, Episode 4, October 16). ICAN won the 2017 Nobel Peace Prize for its work on "for its work to draw attention to the catastrophic humanitarian consequences of any use of nuclear weapons and for its ground-breaking efforts to achieve a treaty-based prohibition of such weapons." Donald Trump told the United Nations that the Joint Comprehensive Plan of Action (aka the Iran nuclear deal aka the Vienna Plan aka der Weinerplan) between Iran and the so-called E3/U-3 "Is an embarrassment to the United States, and I don't think you've heard the last of it -- believe me." Aaron and Jeffrey talk about the prospects for Trump to walk away from the Iran nuclear deal, why that would be a bad idea, why the "section T" talking point is tendentious nonsense, and why its time to make peace with the fact that the future of nonproliferation is mostly about persuading countries to take a pass on the bomb. Full text of President Trump's United Nations General Assembly Speech. Section T of Annex 1 of the Joint Comprehensive Plan of Action. The relationship between the United States and Russia is in the toilet. The FY 2018 National Defense Authorization Act contains a number of provisions that call into question the viability of the INF and New START treaties, as well as the future of the entire bilateral arms control process. Jeffrey and Aaron discuss Russian nuclear modernization including new missiles like the Son of Satan, RS-26 Rubezh and the 9M729 GLCM and the prospect of renewed nuclear testing at Novaya Zemlya. The New START Treaty Text. 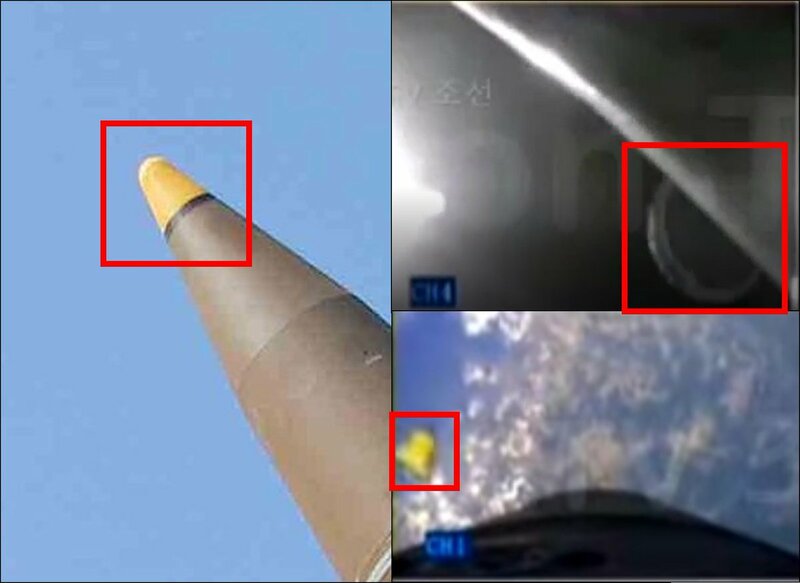 Models of some of the Russian missiles in question. The fourth part in our The Donald and The Nuclear series. The crazy lunatic with the odd hair style and long-range nuclear weapons is talking about "fire and fury". So naturally North Korea's Kim Jong Un threatened to fire four Hwasong-12 intermediate-range ballistic missiles into the waters around Guam, saying that Donald Trump was "bereft of reason." Aaron, Scott and Jeffrey survey the smoldering wreckage that was Jeffrey's marriage-saving vacation in wine country and try to find a happy note. NYT article about trump's "Fire and Fury" comment being improvised. NBC discussion of a preemptive strike plan. 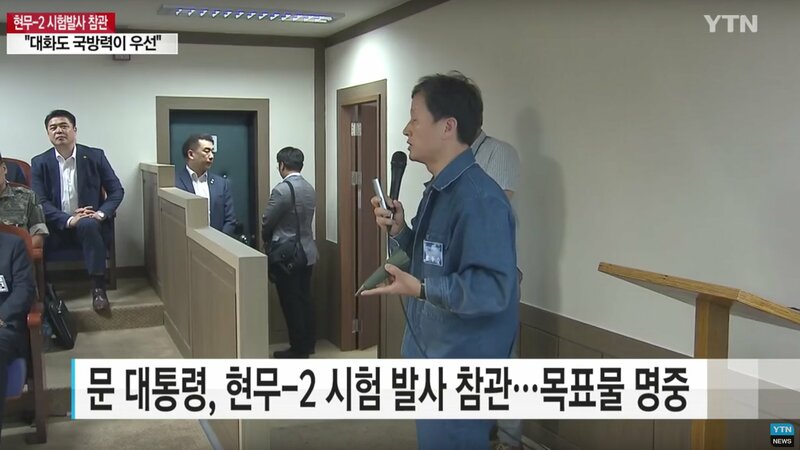 Instead of linking to KCNA, here is a link to the text of the KCNA article, but posted on twitter by friend of the pod Joshua Pollack. Amidst all the hoopla surrounding North Korea's ICBM, Iran launched a Simorgh, a rocket designed to put a satellite into space. Aaron and Jeffrey discuss the Iran's space launch program, how it relates to the nuclear program. And, of course, the Dudes from the SHIG. 122 countries just adopted a treaty banning nuclear weapons, in the same week that North Korea tested an ICBM. Andrea, Gaukhar, and Beatrice Fihn from the International Campaign to Abolish Nuclear Weapons talk about what made the cut for the final treaty, debate some of the implications, and evaluate whether diplomats are most like a solid, a liquid, or a gas. Jeffrey just returned from the Munich Security Conference. On his way back, he passed through DC where he sat down with Aaron and Scott to discuss NATO, extended deterrence, intermediate-range nuclear forces like the RS-26 and the SSC-8, and what makes for an ideal beer hall. 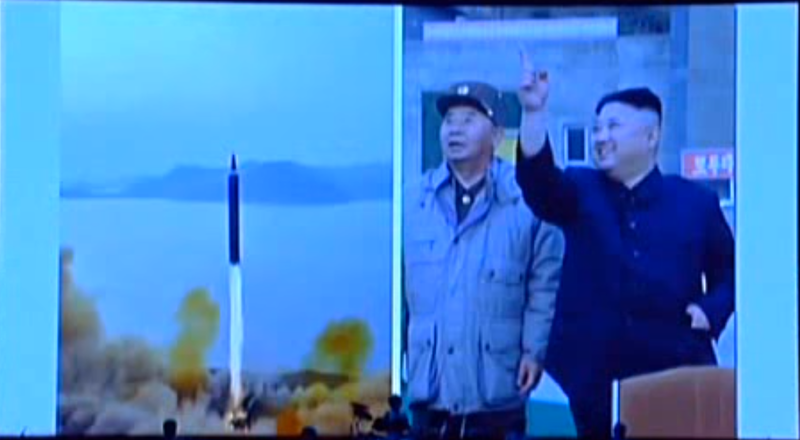 North Korea tested the Pukguksong-2, a medium-range solid-fueled ballistic missile. Jeffrey says "I told you so," Scott wonks out about the missile's canister and Aaron brings along his toddler to warn us of the dangers of an EMP attack. 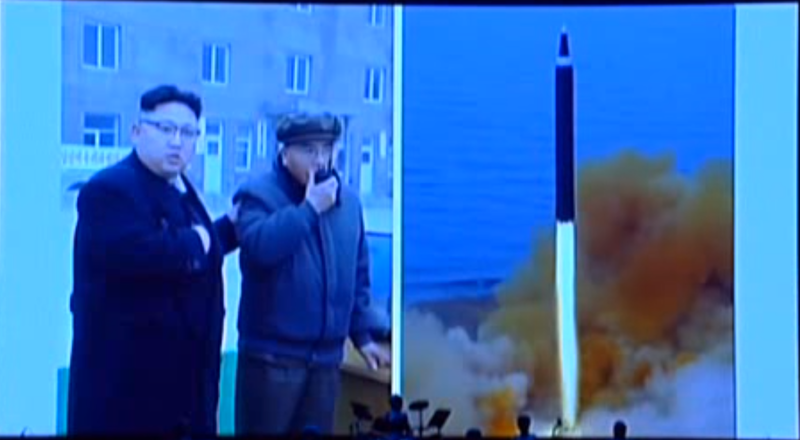 By the end, they might even explain why this missile is a Big Frickin' Deal. Donald Trump ordered up a new Nuclear Posture Review and reportedly told Vladimir Putin that the New START arms control treaty was a bad deal -- after first asking his advisers what it was. We don't know whether Trump really hired two Russian hookers to pee on Obama's hotel bed in Moscow, but Jeffrey tells Scott that the President is certainly directing a warm stream of abuse toward Obama's nuclear legacy. 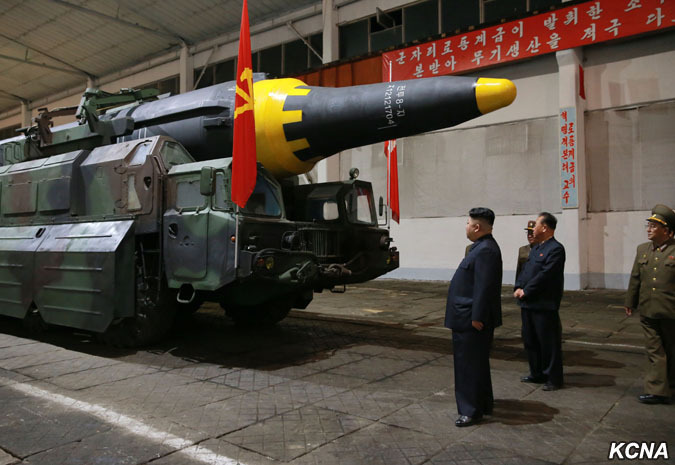 Iran's Khorramshahr missile may be the BM-25 variant of North Korea's Hwasong-10, which the US calls the Musudan, which is based on the Soviet R-27 Zyb, which the US called the SS-N-6 Serb. Simple, right? Don't worry! Jeffrey and Scott talk about Iran's latest missile test and what it might tell us about missile development in Iran and North Korea. about how the moon featured in the arms race. radars by intercepting the signals reflecting off the lunar surface. Please sir, May I launch another? Trident’s latest test was rather underwhelming. The missile's flight trajectory was error filled and flew at an unintended target (Disneyworld). Why? The dastardly grey weather, or something more pernicious. Is our dear Dreadnought in trouble? Tune in and find out. Jeffrey and Aaron have a gentlemanly discussion about the British strategic deterrent. Tea will be served. making sense of raw intel. 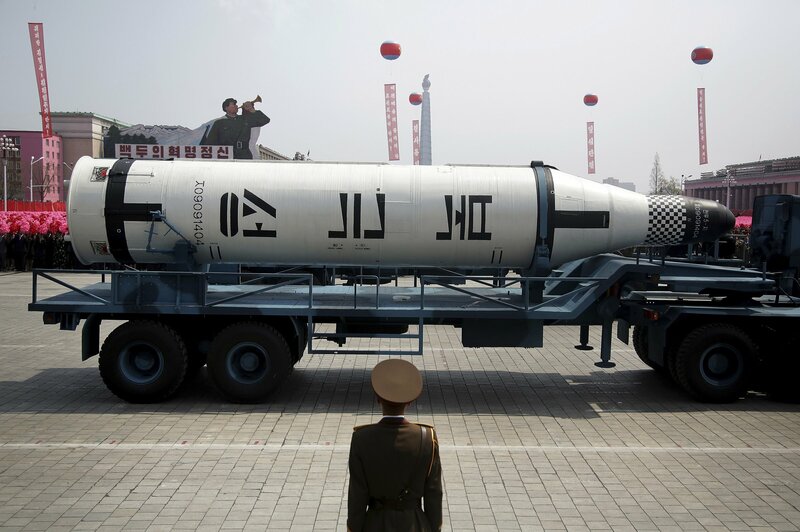 Jeffrey and Aaron discuss a number of inaccuracies in the public debate over North Korea's long-range missiles and U.S. missile defenses, while Scott seethes on mute.